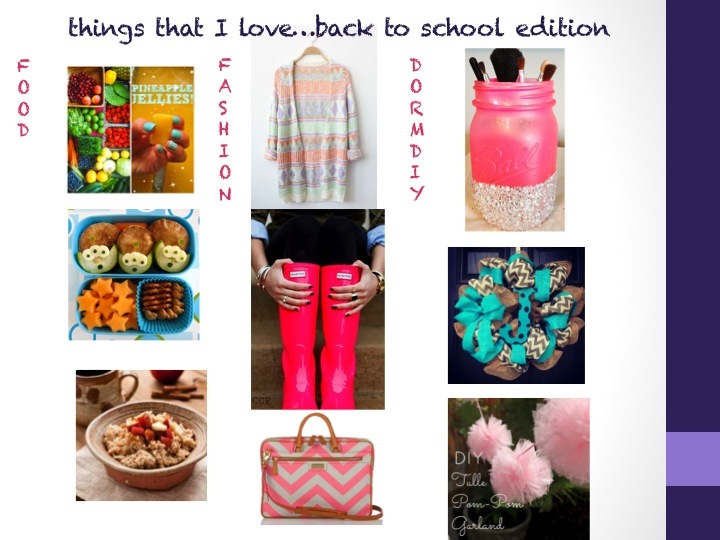 Things I love…back to school edition! Delicious and nutritious…and not super difficult to make! These would be great for afternoons where you just need something sweet, but don’t want to go overboard. Necessary? No. But adorable? yes. Why can’t you get a dose of cuteness with your nutrition? Only thing I love more than slow cooker cooking? Oatmeal. My absolute jam. Every year, I tell myself that I need to buy rain boots. Usually as I’m trucking through the third or fourth monsoon of the season. This year, I’m gonna try to be proactive. I am always freezing, so a sweater that I can throw on top of any outfit is always a plus. I love all of these tribal styles that are in this fall! Super cute, and super comfy. I love bags of all shapes and sizes, but I aspire to carry a classy tote like this one. Pink and white chevrons? Sign me up! Mason jars. So many uses, so little time. I love the idea of making one super glittery to adorn your bathroom sink! Better than shoving random brushes in a drawer, as I am wont to do. So sweet and welcoming! I have been trying to decide what to do with my door all summer, but this mixture of burlap and polka dots is adorable! I have decided that I do not have enough pink in my apartment at this point (why be a grown up till you have to, right? ), so I am absolutely going to be making this easy tulle garland. The directions are super simple, and the outcome looks absolutely perfect for hanging up over a window or a doorway! What are you excited about this back to school season?